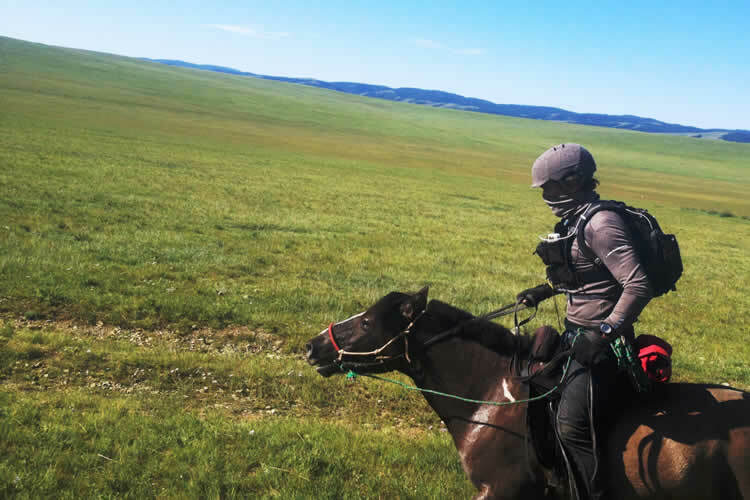 The Ride goes to Mongolia to take part in the Mongol Derby, the world’s longest, toughest horse race; a race based on Chinggis Khaan’s messenger system which operated for centuries through one of the world’s greatest empires. 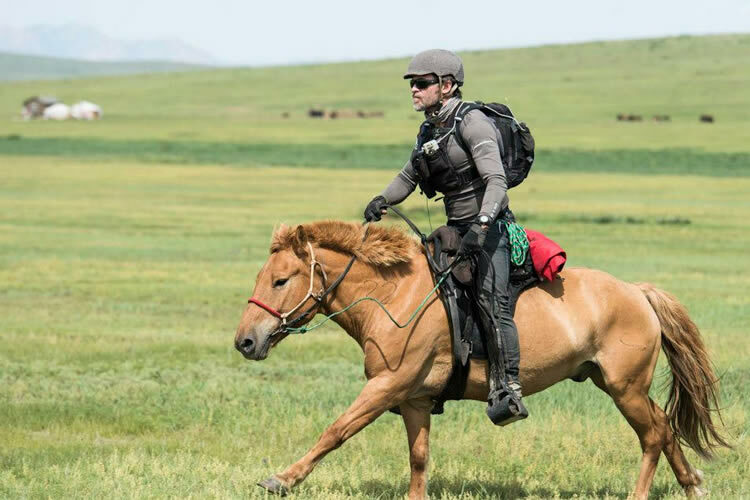 Barry and Joe race 1000km across the Mongol steppe while filming another heart stopping series and attempt to triumph against some of the toughest equine adventurers in the world. 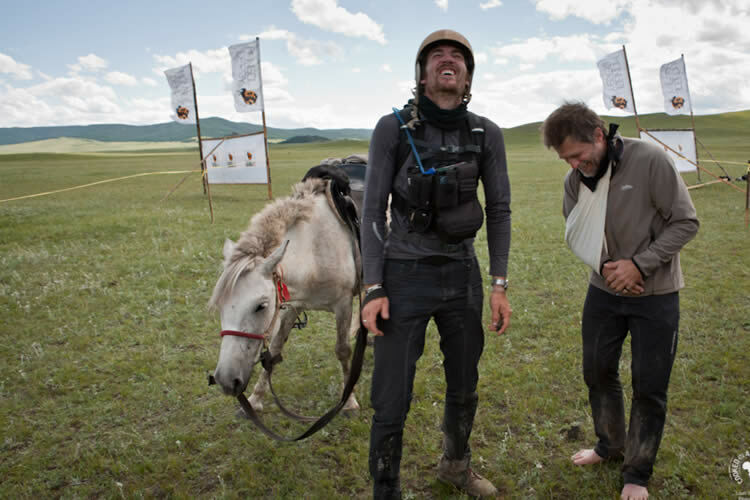 Barry and Joe go to Mongolia to take part in the world’s toughest horse race! 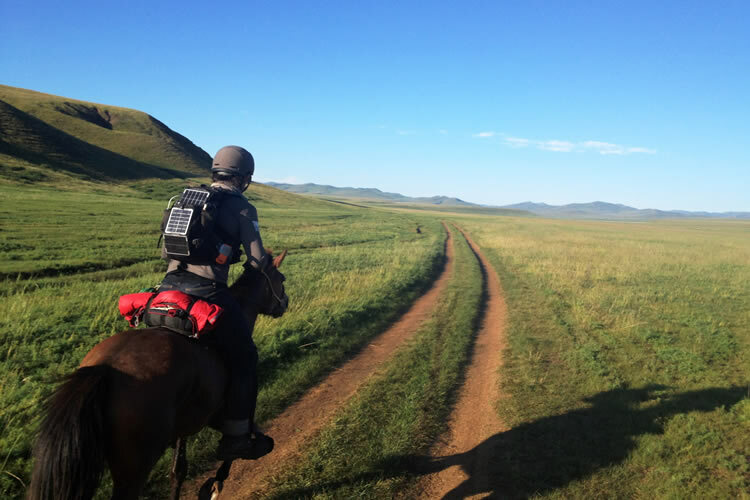 This race dubbed The Mongol Derby is based on Man of the Millennium, Chinggis Khaan’s messenger system which operated for centuries through one of the world’s greatest empires! 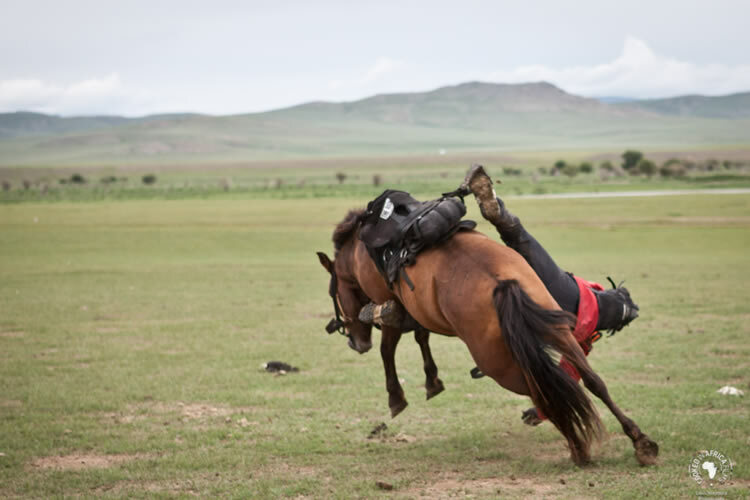 UK based company The Adventurists temporarily recreated this historic messenger system for this hectic blast across the Mongolian Steppe. 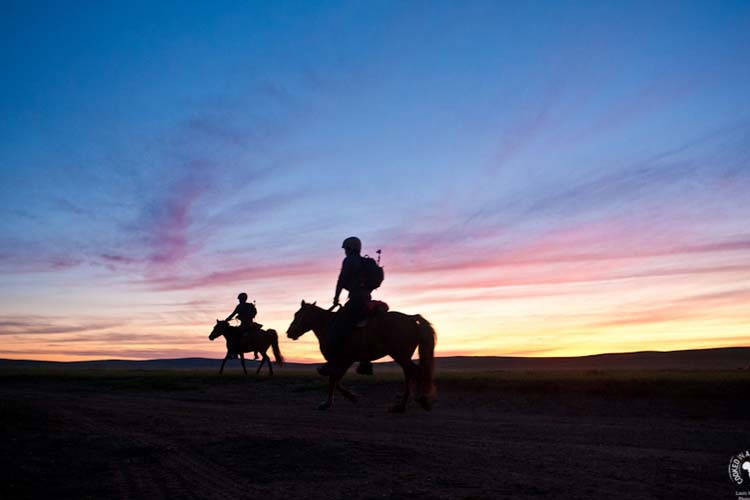 The race takes 25 competitors through 1000km of this wilderness with fresh horses supplied every 40 km. There are no roads or tracks to follow and the route is a closely guarded secret until the day before the start. 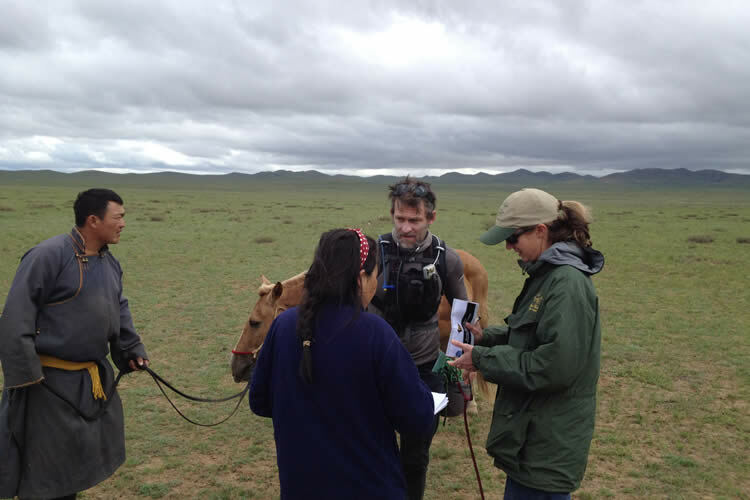 A GPS helps guide racers from one Marin Urtuu (horse station) to the next, but the route between is unspecified. 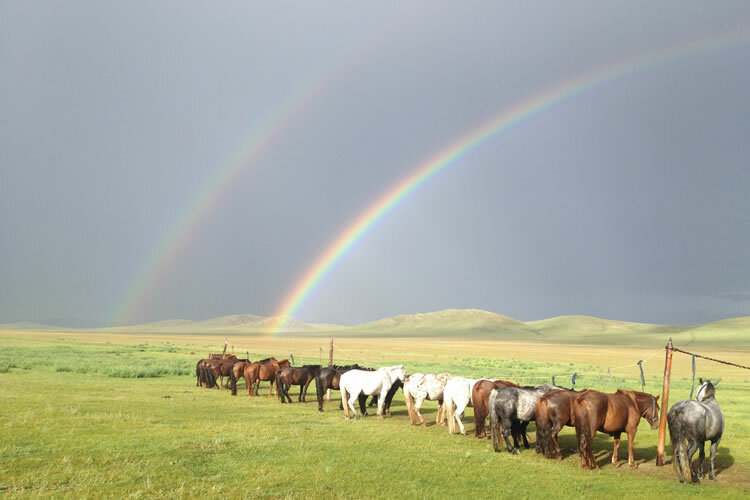 Wits, determination and a large dose of luck will determine who is fastest between horse changes as there is no home ground advantage in this vast and rugged landscape. Mounts for the race are descendants of those which carried the Mongol warriors into battle, conquering the largest empire in history. 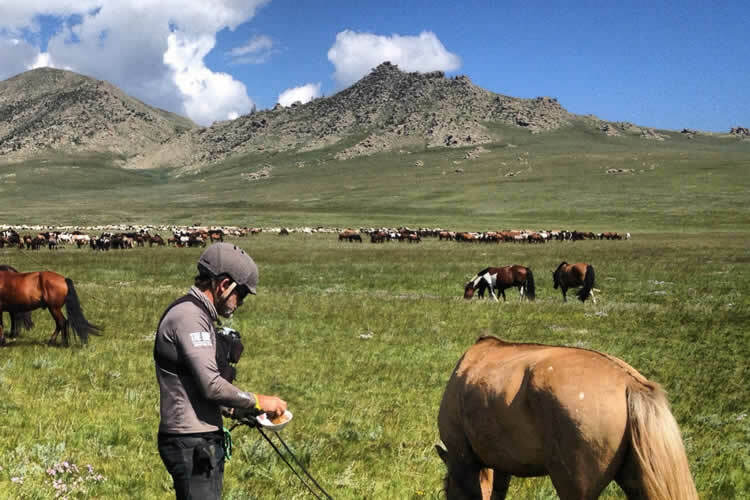 These small but tough these steeds, belonging to local nomadic families living along the route, will complete just one 40 km stage before being changed for a fresh mount waiting at the next horse station. 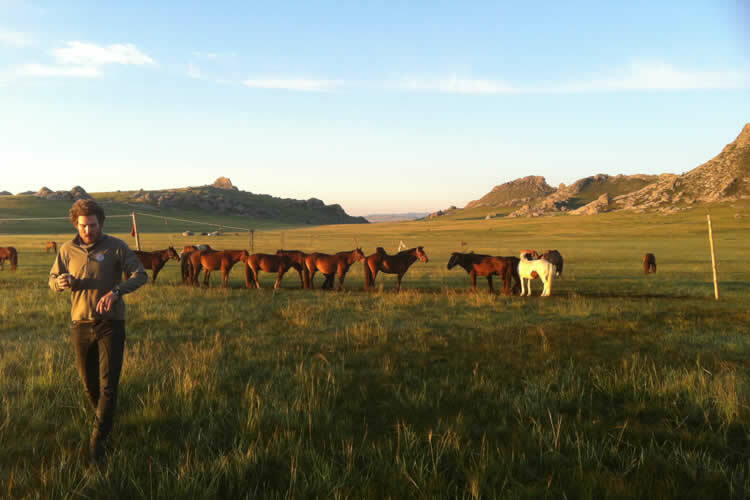 Strict rules have been put in place to ensure horse welfare. An equine vet checks each horse as it arrives and riders are penalised for any transgression of these rules. 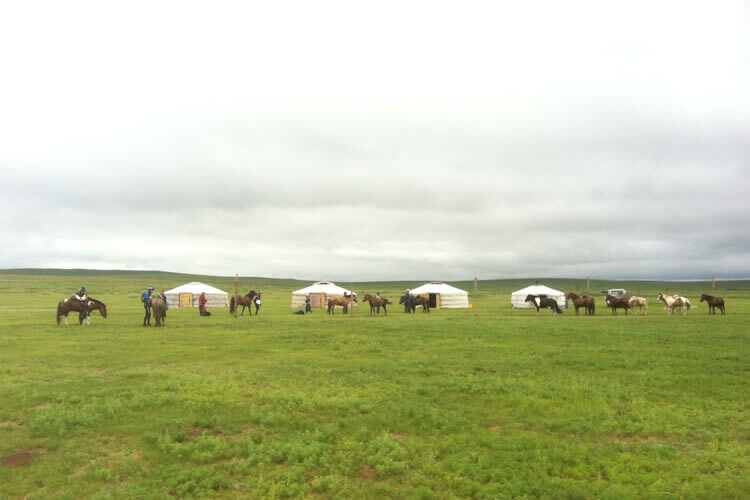 Riders have the option to overnight at the horse stations where they can enjoy the simple hospitality of the local families but to win they need to push on, camping out for the night on the steppe and surviving on the meagre supplies and equipment that can be carried on the back of a racing horse. Electronic trackers ensure that riders don’t move outside of the racing hours of 6am to 8 pm and also to plot rider’s progress. Barry and Joe are no strangers to hectic historic messenger rides but this time they race against flesh and blood rather than the timetable of a long dead man of action. 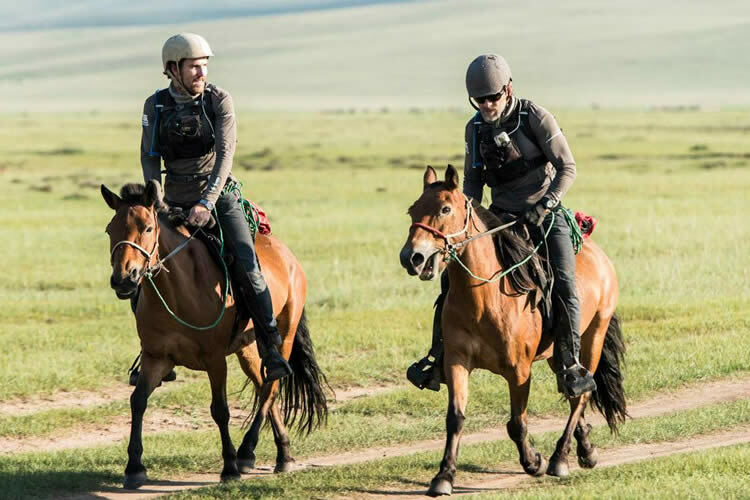 Can they push themselves to win in this extreme environment against some of the toughest endurance riders in the world while filming yet another heart stopping series?